When it comes to electrical repairs, you always need to choose a licenced and qualified electrician. Not only is this the safest and most effective way of getting quality electrical repairs, it is also the law. There are many electrical specialists throughout Queensland, however, and this can make choosing an electrician difficult. No doubt you want the best out of your electrician, but it can be hard to choose the perfect operator for your electrical repair needs. Fortunately, there are a few things that can help and if you do your research, you will be able to find the best electrician for you. 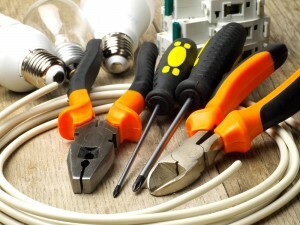 The first thing to consider when looking for an electrician is your needs. Electrical systems vary in size and design between different applications. For example, large-scale commercial electrical systems will be far different to the domestic electrical systems that are installed in most homes. By considering your personal needs in this regard, you can help refine your search for the best electrician. Another thing to consider is the nature of your problem. If you can narrow down the source of your issue, it could help in your search for the perfect electrician. For example, if you know that your electrical problem is limited to a certain area of your home, you can search for an electrician that specialises in electrical repairs of that nature. Doing your research and asking around can be helpful too, as some electricians will probably develop a reputation for specialising in certain electrical repairs and that is generally a good indication that they offer quality workmanship and reasonable prices. With so many different types of electrical systems, it can be challenging to find the right electrician for you. If you can refine your electrical problem into one of the categories below, however, you will have a good starting point. Ideally, you could find an electrician that specialises in a diverse range of areas, as this normally suggests that they are skilled in their field. Commercial electrical repairs are unique, as they involve specialised electrical systems. Because shops, retail spaces, restaurants and other such commercial buildings require specific and tailored electrical set ups, they often need specific and unique electrical repairs. If you require electrical repairs in your commercial premises, then you should look for an electrician who offers commercial electrical repair services. If they offer these repairs specifically, then you can rest assured that they will have the knowledge, experience and tools necessary to complete the job to a high standard of quality. Residential electrical repairs are the most common and they can involve anything from appliance installation to rewiring jobs. It is important, for your safety and the safety of your family, that you find a licenced and qualified electrician to undertake your residential electrical repairs. A good way to find a reliable and reputable operator is to look at some testimonials or reviews on their website. As well as this, you should have a look at the services they offer and ensure that they are well suited to addressing your electrical repair needs. Industrial electrical systems are among the most complex and not all electrician have the equipment or experience to deal with them. For this reason, it is particularly important to find an electrician who offers industrial electrical repairs. On top of this, it is always a good idea to have a look on their website to see if their services are suitable for you industrial electrical needs. Looking at online reviews and testimonials is another good idea and it can sometimes give you a picture of what previous jobs they have completed, as well as their rates of customer satisfaction. For all your electrical repairs in Bundaberg, contact the experts at K Electrical today on (07) 4152 2177.